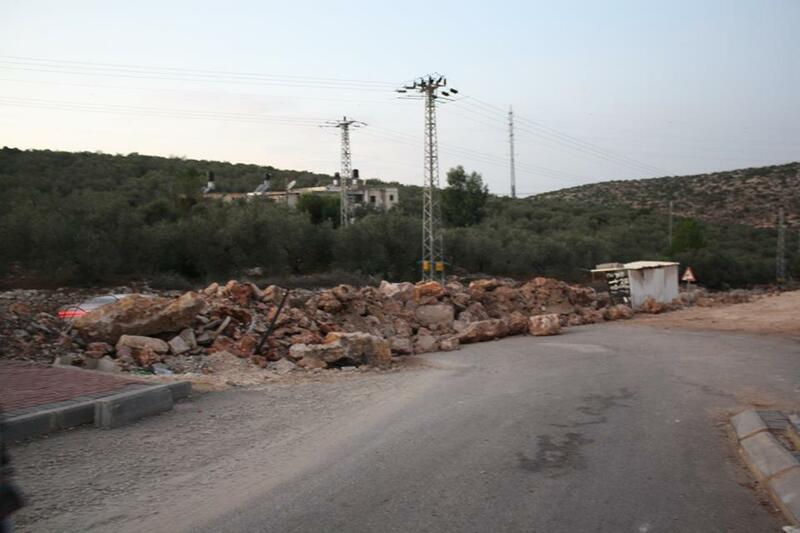 On the evening of the 27th October, Israeli soldiers invaded the village of Deir Istiya, blocking all main routes through and out of the village with army jeeps. This includes the entrance from the main road (routes to Nablus, Qaliqilya, Tulkarem and the surrounding villages) and the road to Haris and Kifl Haris. One army jeep stationed itself outside the shops in the villages’ main street and another parked at the exit and entrance route to the south of the village towards Haris. 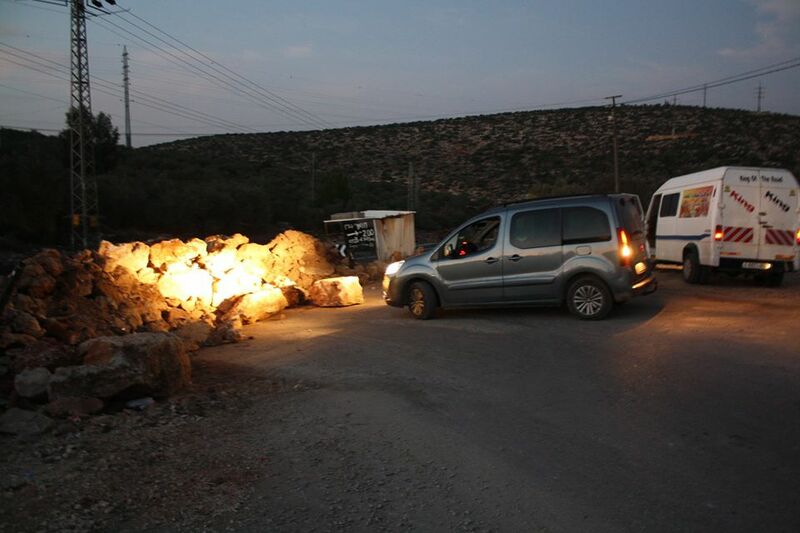 After blockading the village for couple of hours most of the Israeli army left – IWPS witnesses say soldiers called out “Peace” as they left the village, before hurtling a sound bomb. There did not appear to be a reason for this. Other residents reported seeing and hearing a number of sound bombs and teargas throughout the incursion. Only a few hours later the army had enforced a roadblock – technically an ‘earth mound’ – literally a heap of boulders and rocks. The roadblock obstructs vehicular and pedestrian access from the main road. Pedestrians can pass if they are willing to scramble over the mound. This is particularly problematic for those with mobility issues or with young children. The alternative route is the back roads to Kifl Haris or a small winding rocky path through the olive groves to Haris. Locals did not know why the village had been blockaded. One man told IWPS that the military typically respond like this if children have been throwing stones. If this were true, the collective punishment of the entire village violates international law. “At the close of 2012, OCHA counted approximately 532 physical obstructions a month, compared to an average of approx. 434 obstructions in May through December 2011 and an average of 519 for the year 2010. During the Gaza atrocities in the summer of 2014, the number of roadblocks and physical obstructions in the West Bank rose considerably. 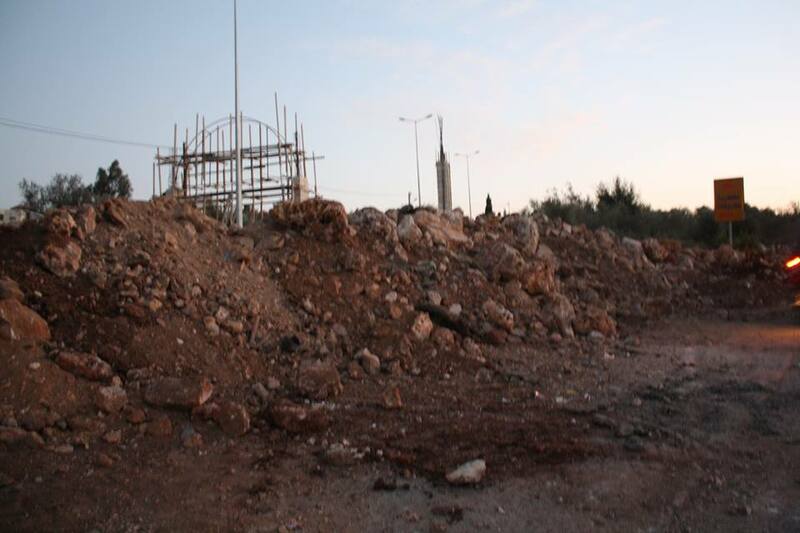 In this period the entrance to Deir Istiya was obstructed by roadblocks 3 times. 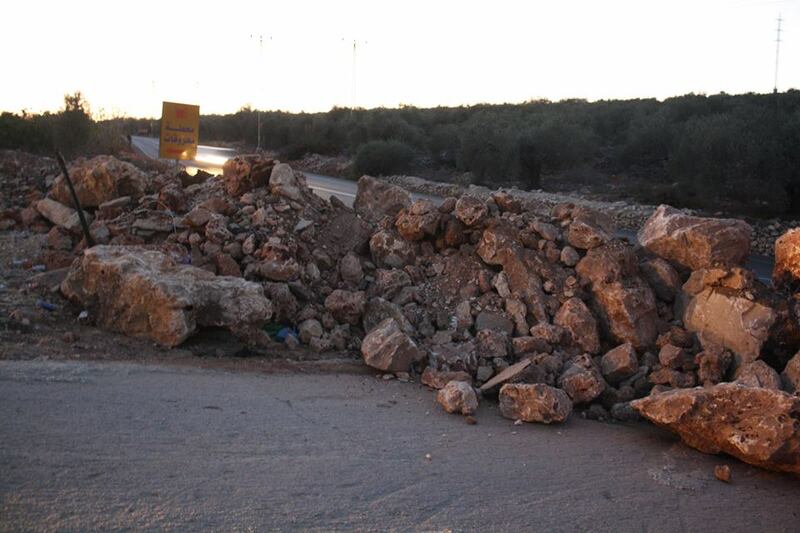 The first two roadblocks were removed by locals. They were then rebuilt by the Israeli army. The third time locals removed the roadblock, soldiers made no attempt to rebuild. The roadblocks and the resistance continues. IWPS continues to monitor the situation.